A magazine publication takes careful planning and visual skills to perfect. Converting it to a digital platform should leave it exactly as inviting and delicate as the original. 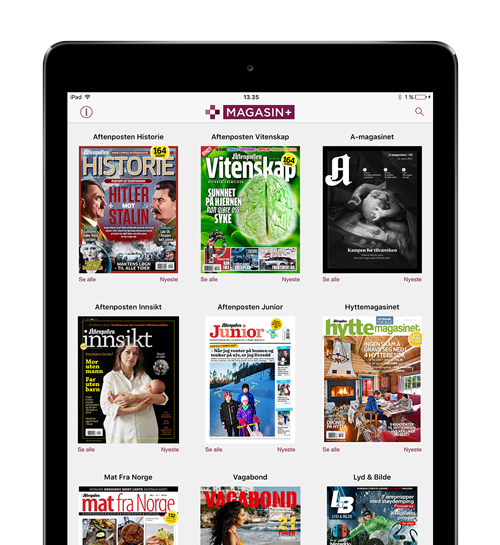 By unleashing your magazine’s digital potential, the eMagazine app becomes more than another distribution channel. The eMagazine pushes the limits of a traditional magazine format. It allows continuous testing and improvement of ad performance, UX and design features, as well as growing your audience within the platform. The preferred way to enjoy a digital magazine. Browse through pages with the flick of a finger, and zoom for optimal reading experience. Your magazine on the go. Get into your reader's pockets and let them enjoy a great read on the bus, at the doctor. Basically anytime, anywhere. Take your magazine to the desktop through a HTML-based web viewer, which allows the reader to swipe and zoom. Also the perfect platform for your archive. User experience and customer satisfaction go hand in hand. Our app solutions emphasize user experience tailored to each platform’s specific design conventions, and they’re thoroughly tested by our Quality Assurance department prior to release. 3rd party integrations play a big part in creating a successful app ecosystem. We integrate to major advertising and subscription platforms, as well as editorial systems and a wide range of other services. We keep constant track of App Store and Google Play reviews, helping secure your readers a five-star experience. Identity is a strong part of any magazine’s unique audience appeal. And customizing your apps to fit your brand’s identity is key to digital success. Adjust visuals to create a strong cross-platform presence. Spice up apps with additional online content, like video or website news feeds. In short, make your eMagazine a powerful brand identifier with visuals and features. Interactive ads increase the value of each individual ad. Make print ads clickable to utilize tracking of reader interaction with advertisers. Use interstitials to create powerful tailored messages within the eMagazine. Promote your own content and offerings, or market the page as a premium full-screen advertising space. 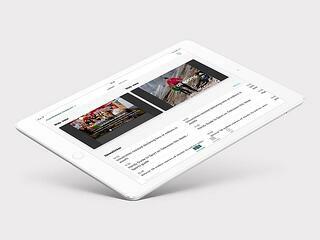 An eMagazine is more than a digital replica. The platform provides tools for understanding readers at a deeper level. Analyzing user behavior allows you to tailor both content and layout to optimize its performance. Visiolink Business Consulting helps you execute and analyze your digital strategy. Giving your digital magazine the optimal environment to grow. A digital publication often incorporates tracking, advertising, and subscription services independent vendors. Visiolink solutions support integration of all major analytics tools, subscription systems and ad platforms. Take advantage of previous editions and vintage content. 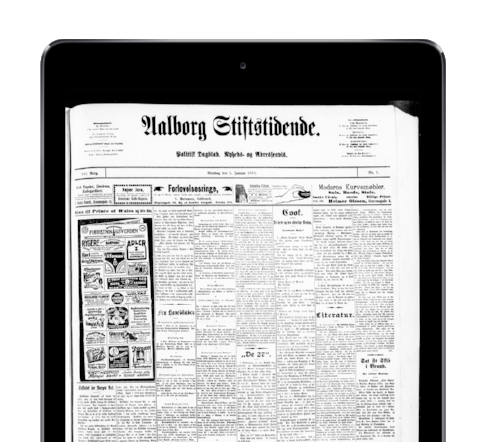 Add a searchable archive to your eMagazine, and let readers enjoy great reads from long ago. We also help digitize your archive, if it's still stuck on print. Keeping a world-class digital publishing solution running, requires some assistance. Our server team and customer care specialists work 24/7 to ensure reliable delivery and availability on all platforms. The technical infrastructure behind your eMagazine solution might not interest you. After all, getting your magazine in the hands of readers is all that matters, right? We cuddle the servers and ensure everything runs smoothly, while you focus on creating great content. Our server setup is redundant in two physical locations, and we have continuously running backups to secure your data. In short: We guarantee the availability of your eMagazine. All day, every day. Besides monitoring your publication's daily delivery, our surveillance and support service go beyond initial publishing. Our specialists keep a close watch on all publications to make sure your readers are happy. Visiolink Customer Care meticulously monitor any irregularities, discovering more than 80% of all errors before they're published. Our support is open 24 hours a day, every day. Even on holidays and weekends. Publishing through the Visiolink Publishing Hub is easy. Finalize magazine layout, upload to our servers, and relax while we process and publish. Create interstitials, ads or send push messages within the Publishing Hub, which contains all the tools you need. Want to know more about Visiolink solutions? Enter your data in the form below, and we'll get back to you shortly.